After months of planning, preparatory meetings and conflicts over budget cuts, Quebec’s two-day summit on higher education is set to begin this Monday. Despite twelve complex and sometimes divisive topics up for discussion at the Summit, higher education minister Pierre Duchesne says he is not expecting it to result in an official agreement or concrete policy plan, according to a Feb. 23 interview with La Presse. Rather then fulfilling past promises to resolve issues raised during the 2012 student strikes—such as tuition fees—the summit’s intention is to “permit us to define the priorities for higher education in the future together,” according to a Feb. 21 ministry of higher education press release. The issues of tuition indexation, ancillary fees, financial aid, revisions to the by-student funding formula and the creation of a national council to oversee university management and consult with administrators are all on the agenda for discussion. The summit will take place at the Arsenal art gallery in Griffintown. It will include a day of discussions and a plenary that will see representatives from student federations, the government, administrators and other actors like professors, unions, and business groups around the same table. Among the participants will be Martine Desjardins, president of the Fédération étudiante universitaire du Québec, which represents the Concordia Student Union provincially. Desjardins wishes the government had given more information at an earlier date about what specifically would be discussed at the summit. On the other hand, she said she is “very confident” about the prospects of creating a council to look in on university management. Desjardins added that many actors, particularly the CREPUQ which represents university rectors, have a very different idea of what a council should look like. “Rectors don’t want to have a council that will be very restrictive, they want just to have a council that will discuss with the experts, which is kind of weird,” she said. Desjardins also wants to see changes to the way universities are financed, but doesn’t expect the issue to be resolved at the summit. “It’s clearly not a perfect thing,” Desjardins said when asked to sum up the summit’s structure and progress so far. Her main concern stems from what she sees as a lack of action on behalf of the government. “At the first meeting that we had we were the only group saying, ‘well, it is very interesting to speak with all of you, but we need action; we need to have a position, we need to go forward,’” she said. “Right now, the government doesn’t seem to have any clue on what’s going to be their conclusion, with the exception of indexation,” Desjardins continued. She said the government is stalling by continually delaying decisions, perhaps for a year or more. “But right now there is still a problem. We need to go a little bit faster on the resolution of those conflicts,” she said. 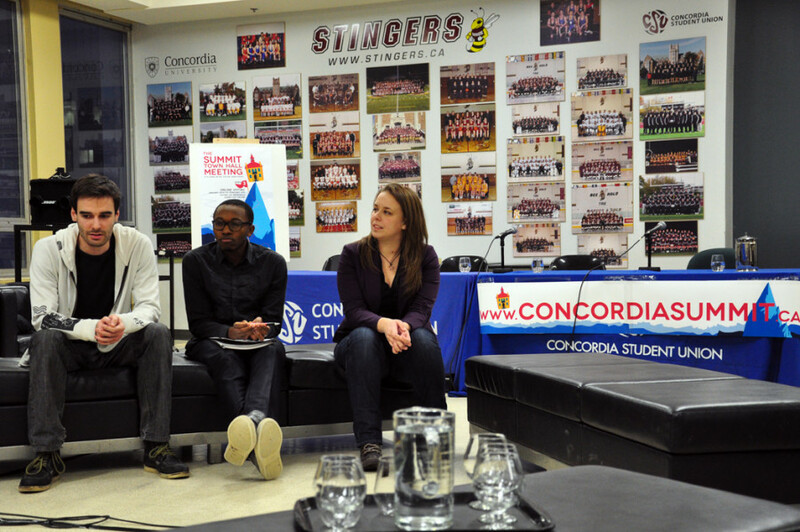 In preparation for the Summit, the CSU’s VP External Simon-Pierre Lauzon prepared an online survey in an attempt to outline the Concordia student body’s priorities for provincial university politics. In accordance with a Feb 4 ultimatum to minister Duchesne, the student federation ASSÉ will not be attending the summit, but is hosting a demonstration against indexation on the summit’s second day. According to ASSÉ’s own list, 38 student associations have voted to strike during the summit. ASSÉ’s demonstration will begin at Square Victoria at 2 pm. La Presse has reported that the SPVM is planning increased security measures around the summit location to respond to protesters. Shepard will attend as part of the university rectors’ conference CREPUQ, an organisation that believes that universities are grossly underfunded and opposes a tuition freeze. Also at the table will be the Quebec professor’s union FQPPU. The union hopes that the summit serves as an opportunity for the university community to define its priorities. Like the FEUQ, the FQPPU is calling for a council on universities. “If there is a council, there will be a permanent forum to discuss financing, governance, development of programs, and development of the university in general,” Umbriaco said. The union would also like to reform the financing model and increase accessibility by alleviating the debt burden on students.